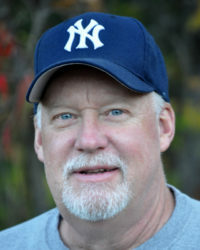 Ed has been with Vermont Store Fixture since 1989 when he joined our Maintenance Department. He was soon promoted to Maintenance Supervisor, and his duties include overseeing all maintenance and purchasing of our machinery and hand tools as well as keeping the VSF buildings and grounds tidy and clean. Ed and his crew maintain VSF’s fleet of delivery vehicles, keeping them safe and roadworthy for our drivers. As company Safety Director, he is responsible for introducing all new associates to VSF’s extensive factory orientation. Ed is also the managing member of our Emergency Response Team and his office also serves as the first-aid central area. However, the most impressive maintenance Ed and staff perform is the maintenance of VSF’s reputation as one of the cleanest and safest workplaces in the state of Vermont.